Seas and oceans provide an essential part of our wealth and well-being and are a source of food, energy and resources. However, the impact of human activities on the marine environment is strongly increasing and research and innovation are crucial to support a thriving and sustainable maritime economy. Dicover the EU Commission's video on the EU marine environment ! By delivering a novel automated networked system that enable real-time in-situ monitoring of marine water chemical and ecological status in coastal areas by the detection of a series of contaminants, SMS safeguardes the future of the marine environment and the major implications it has for society. The pollutants specifically targeted by the project have been indicated as having priority for quality control of seawater. They cover a wide spectrum of regulated chemicals that have detrimental effects on the marine environment such as the algal toxins, the antifouling pesticides, flame retardants and pharmaceuticals that will be measured using innovative probes. The SMS project will promote the development of novel sensing devices for marine environmental protection. SMS is expected to have a major impact on marine water end-users and relevant stakeholders. SMS at the ICES Annual Science Conference 2014 !! 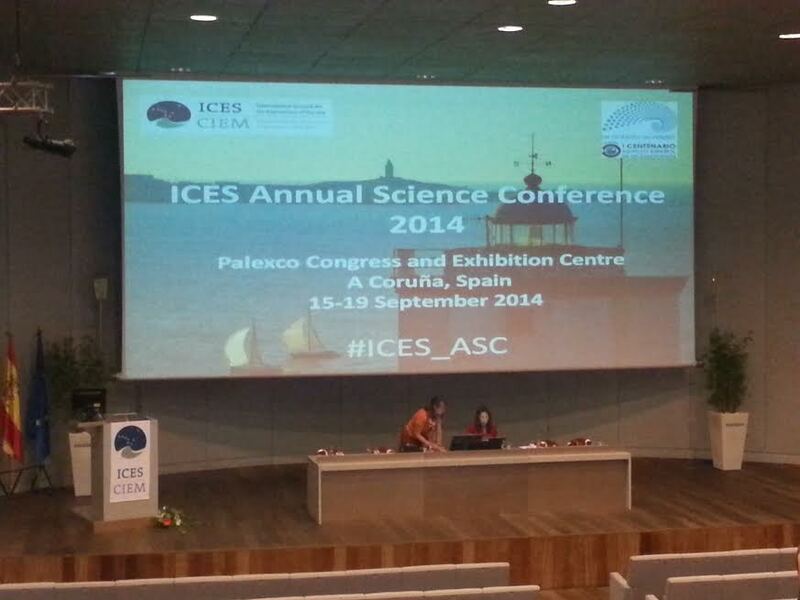 SMS attended the ICES Annual Science Conference from the 15th to the 19th September 2014. The importance of making science understandable to decision-makers and the need to find a coordinated voice for science were the main messages of the opening lecture at ICES Annual Science Conference. Prof Palleschi, coordinator of SMS, was interviewed by Alan Archer-Boyd. The project will try to help protect the marine environment while helping industry to make the best use of it (Blue Growth Strategy). How do you balance the (perhaps) conflicting demands of these sectors on the project? technologies, SMEs are helping the “sensorists" to make their devices working in complex matrices, and in real time. How does this project differ from or expand on previous work? detect new pollutants in marine waters as biocidal compounds in antifouling paints (marine transport) – Flame Retardants – plastic components, pesticides, marine toxins, and pharmaceuticals as sulphonamide. SMS attended the FAO Global Oceans Action Summit on the 22nd and 23rd 2014. The Government of The Netherlands, in close collaboration with the Food and Agriculture Organization of the United Nations (FAO), the World Bank and the Governments of Grenada, Indonesia, Mauritius, Norway, the United States of America, organised the Global Oceans Action Summit for Food Security and Blue Growth in The Hague, The Netherlands. SMS working toward healthy oceans and a balance between ecological and economic demands on the ocean, our team disseminated among all the stakeholders present, the work and purposes of SMS. The SMS team attended the "Ocean of Tomorrow" Conference which took place in Brussels on the 26th of March 2014. Being funded under this program, it was important for our team to be part of the event and exchange with other projects funded under this program. This conference was a unique opportunity to give visibility and showcase first results of multi-disciplinary projects with a focus on understanding, mitigating and adapting to changes in the marine environment. The event included a panel discussion with high-level experts to take stock and put forward their views concerning how the projects' results could provide sustainable answers also to the societal challenges identified in the Horizon 2020 programme (2014-2020). 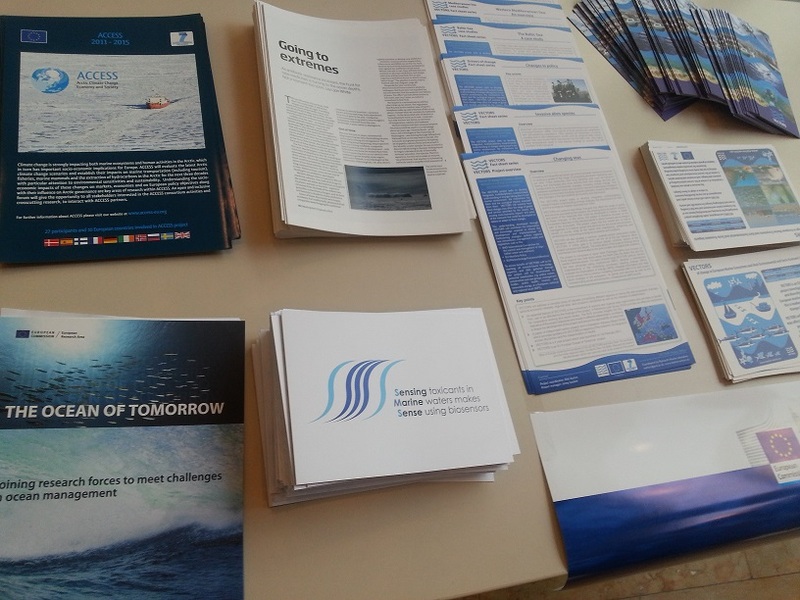 The SMS leaflets were distrubuted at the entrance of the conference room to present our work and ambition in the framework of the "Ocean of Tomorrow" program. On the 6th and 7th of February, The University of Rome "TOR VERGATA", the project coordinator, hosted the the kick off meeting, bringing together representatives from all consortium partners. The event officially launched the activities of the 45 months SMS project (from 1/12/2013 to 31/08/2017), funded by the European Commission within the 7th Framework Programme. The focus of the meeting was twofold: firstly, for each partner to present its organisation and role in the project, reviewing the technical objectives, state of art and planned activities and secondly to introduce and explain the project’s management structure, contractual administration, reporting responsibilities, and financial arrangements. The two days allowed for extensive exchanges, addressing the first main challenges ahead.